If you’re tired of your regular coffee order at the local bar and fancy spicing things up a little, take a look at this infographic from Folly Graph. Iy lists a massive collection of different coffee styles, some of them you have probably never heard of before. There’s the obvious classics such as a Mocha, Cappuccino and Espresso and then some more exotic sounding creations such as The Bonbon, The Lazy Eye and The Borgia. 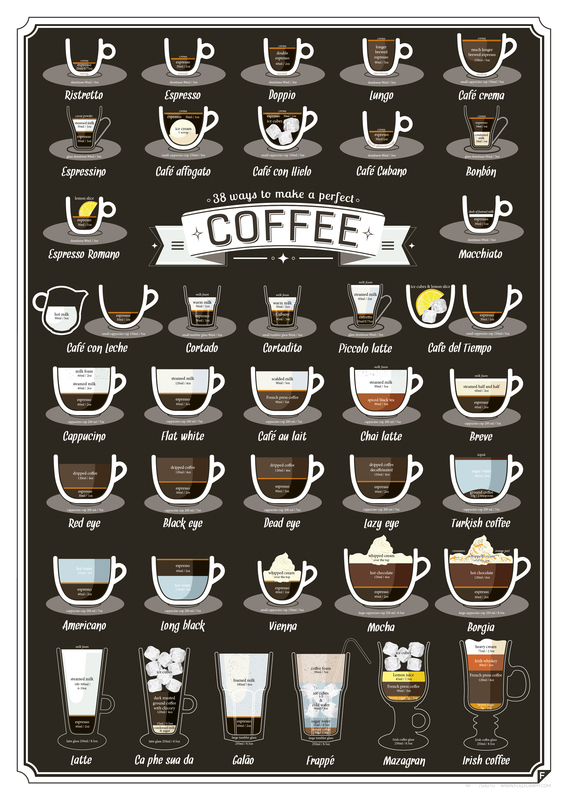 The infographic breaks each drink down by the ingredients that go into making them, perfect if you want to experiment with your next coffee hit.